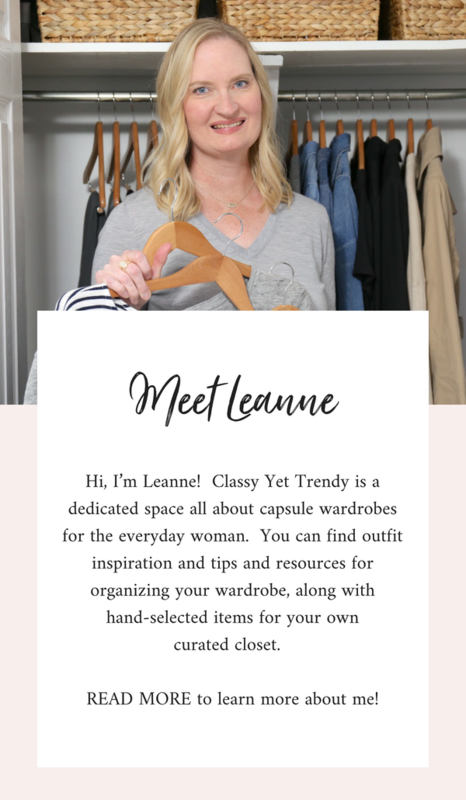 Sorry I haven’t shared an outfit photo lately for the Trendy Wednesday linkup, but I have been swamped the past few weeks working on and publishing the all the Spring season eBooks. 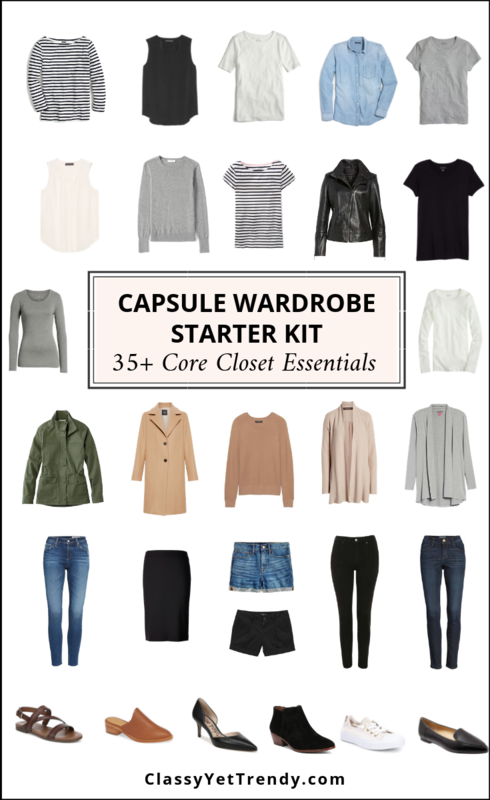 They are all available in the Capsule Wardrobe eBook Store! 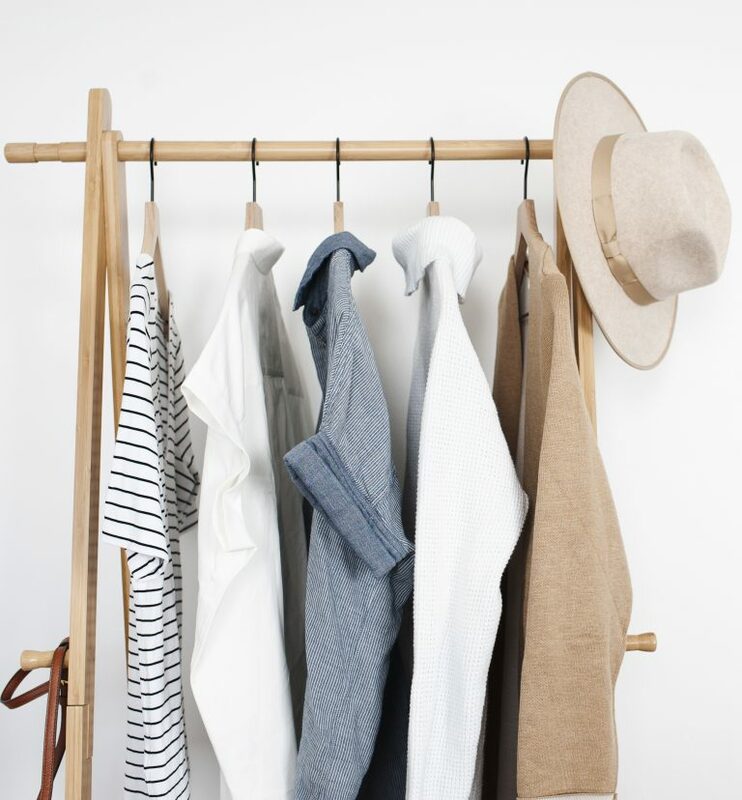 I just published the Men’s Spring 2018 capsule wardrobe eBook yesterday, so if you have a husband, son or anyone who would like to transform his closet with a capsule wardrobe plan, it’s now available. 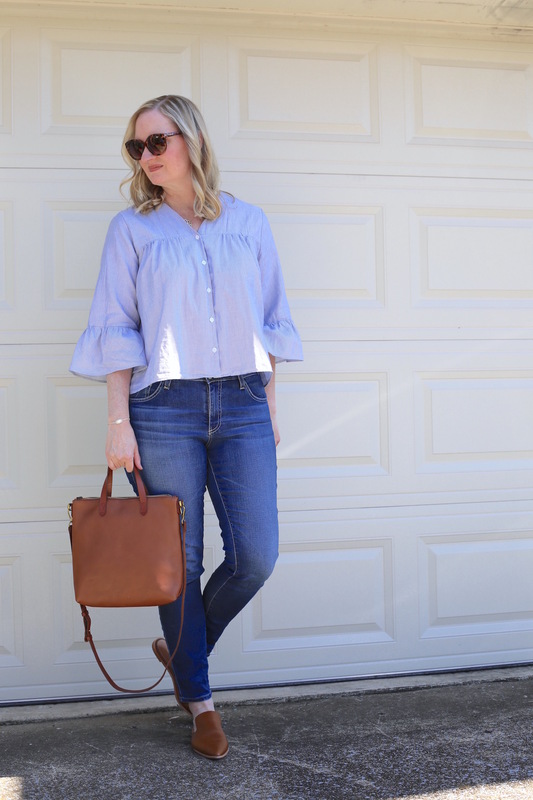 Today for Trendy Wednesday, I’m wearing the Madewell Veranda Bell Sleeve Shirt, AG Skinny Ankle Jeans, and Madewell Gemma “English Saddle” Mules from my Spring 2018 Capsule Wardrobe. To complete the look, I added simple, minimal jewelry, as to not take away from the bell sleeve feature of the top. I like the combination of blue and brown, so for shoes and accessories, I chose my leather mules and cognac crossbody bag. 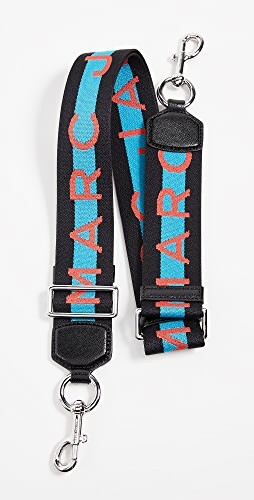 This year Madewell has a smaller size in the transport crossbody bag, which I like so it’s easier to carry as a crossbody. 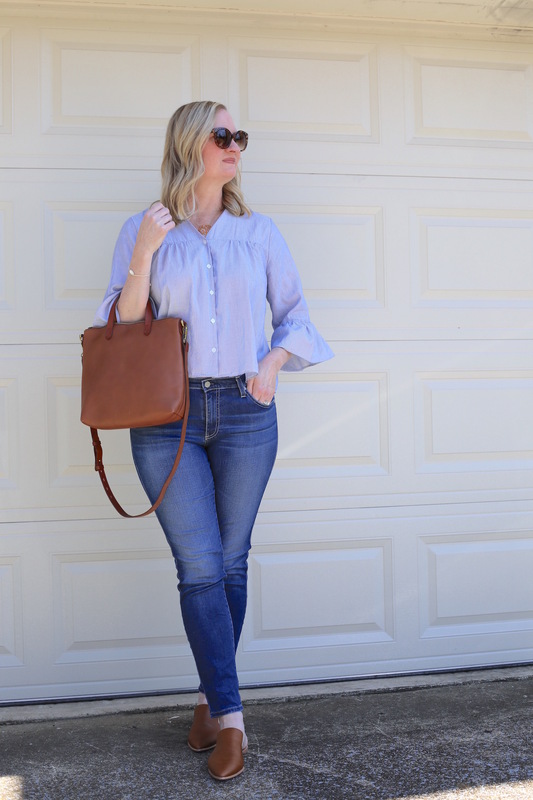 My crossbody bag I have in the photos above is one of my most favorite bags, as it’s lightweight, is a beautiful cognac color, has handles to carry it as a handbag and a strap to use as a crossbody. I purchased the Madewell Veranda Bell Sleeve Shirt a few weeks ago and added it my Spring capsule wardrobe. The material is light, but not see through, and has a sutble stripe pattern. The blue tone of the material is gorgeous. 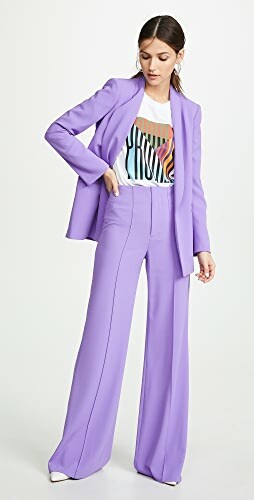 At first, when I saw it in the store, I was hesitant about buying it because I didn’t know if it would layer under cardigans and jackets. I was wearing a cardigan that day, so when I tried it on, I put on the cardigan and it looked great with it. Plus, the sleeves worked well underneath the cardigan. For size reference, I bought a large, which is my normal size for Madewell clothes. 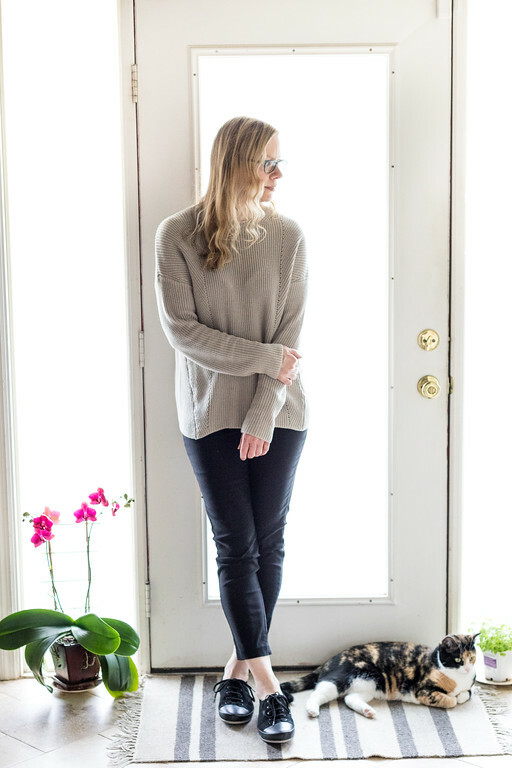 I had these AG Skinny Ankle Jeans in my Winter capsule wardrobe and added them to my Spring capsule wardrobe too. 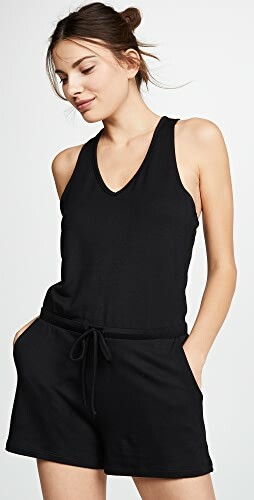 I love wearing these and highly recommend them for both style and comfort! I bought these Madewell Gemma “English Saddle” Mules a couple of weeks ago and love the style. I usually wear a size 9, but went up a half size to a 9.5, after reading reviews about them on Madewell’s site. They are just the right length. I wore them for several hours for the first time the other day and they started rubbing a couple of blisters on the outside of my feet. I had read a couple of reviews where they had caused blisters, but they applied Moleskin patches to the shoe and was ok after that. I’m going to try that until they break in. I’ve received several requests to add sources for Petite Sizes. I have added Plus Size references, so I will try and include Petite Sizes when I can find them available. Thank you for all the Petite size ladies who are readers of Classy Yet Trendy! I love EVERYTHING about your outfit! Simple, yet trendy!! Thanks so much for the feature! Love the blue and cognac combination! Thanks so much for the petite links! They are greatly appreciated! 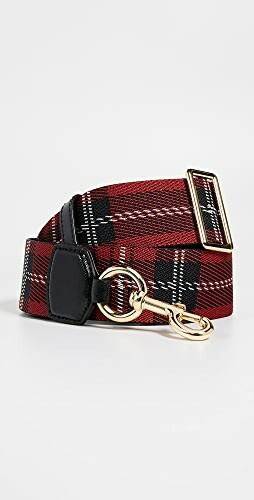 I have been eyeing that Madewell transport crossbody bag for some time now. 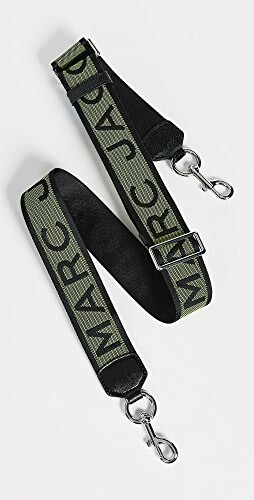 It’s such a beautiful color and the small size is right up my alley. 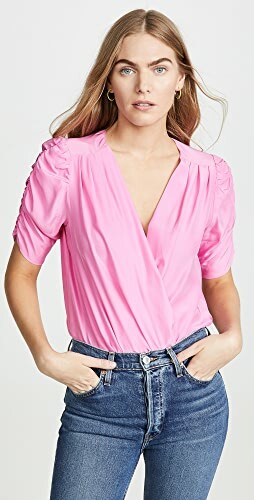 Love it paired with your bell sleeve blouse, it adds a chic vibe to a feminine top. This is a great look! 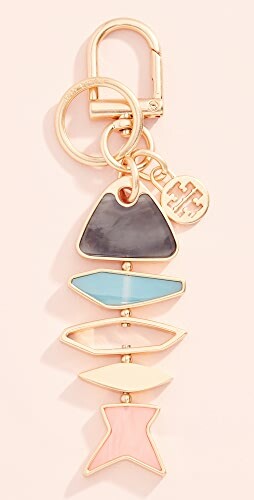 Perfect for transitioning to Spring! This whole look is perfection! I have to have the mules! Blue and cognac is a nice classic all neutral combination. 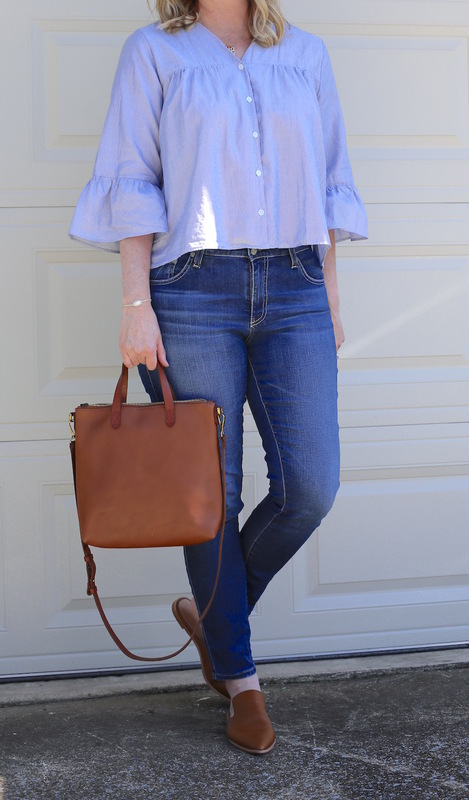 I love a good bell-sleeve top and that one looks perfect for spring! Love how you paired it with cognac accessories, it’s simple but a great combo! The top and mules are really adorable! 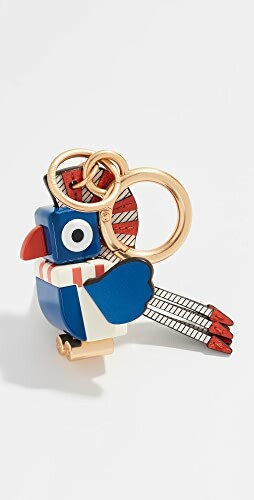 I need to shop at Madewell More! Wow, this is such a trendy but simple outfit. I am especially in love with that blouse, I just love the exaggerated bell sleeves. Thanks so much for sharing another awesome post! That top is cute and simple but still has personality. I love cognac shoes and bags. So classic and they go with everything. Pretty shirt! Denim and cognac is a great classic combination. Thanks for hosting, hope you’re having a good week! 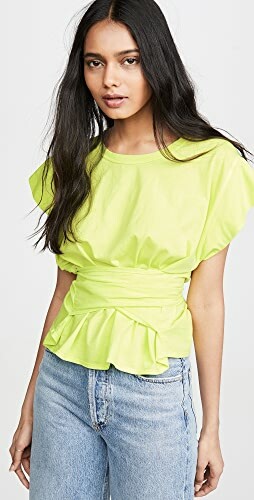 Love, love this top on you! 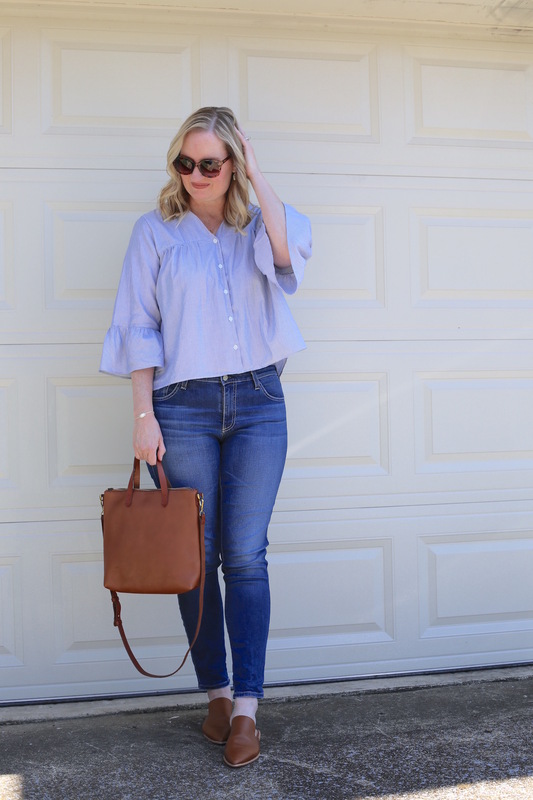 I love everything you’re wearing in this post—you’ve inspired me to take a trip to Madewell! Thank you Cheryl! I love just browsing in Madewell, from their displays to their wood floors, everything is just pretty to look at. 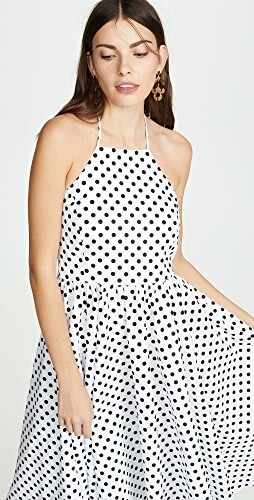 Shop Short Sleeve Dresses, Heel Booties, Black Flat Sandals, Dress Pumps and more. Get this widget.